Mrs. Michelle (Givens) Wright is second from the left. Her former teachers from First Baptist Church of Rosemount are from left to right: Mrs. Vikki Pierson, Mrs. Francie Taylor, Mrs. Tina Rupe, and Mrs. Valerie Clear. If we could have included all the teachers, bus captains, bus workers, Pastor and Youth Pastor, Hyles-Anderson College staff and faculty and others who influenced Michelle's life for Christ, this photo would have been taken in a stadium! "Hello, Mrs. Taylor? This is Michelle." She didn't have to identify herself. I recognized her sweet voice right away. It is still one of my favorite things to receive a phone call from any of my former "bus teen girls." Actually, it is more accurate to refer to these young people as "students from the bus ministry" rather than "bus kids." I'm not aiming for "political correctness" here; I'm just respecting the students. As one of my former students used to tell me, "bus kid" often has a negative connotation to it, and it surely should not! Most of us know many phenomenal Christians who once rode a bus to church! Still, many of us use the term "bus kid" lovingly; not negatively at all. Michelle's story is not unique, as there are many people who rode a bus to a great church and had their lives changed forever. Michelle is one of many former students, and not mine alone. Before I ever met Michelle and her "old posse," they had already passed through many classes of wonderful teachers who had influenced them; making enormous and loving impacts on their hearts and lives. Teachers of bus ministry students: Your work really matters. Never take your job lightly, and never treat your bus riders like "second-class" church members. In God's sight, they are no different than you, except for the mode of transportation to church. Each one of their homes is unique, and every student is precious. Are you praying for the young people in your circle of influence? You have no idea who they are and what the Lord may have them do in this life. Working with people is not just a ministry; it is a privilege and a sacred trust. What makes Michelle's story precious is this: She is not just a survivor; she is thriving! I am grateful to say that Michelle is not the only former student that I know of who is continuing to walk with the Lord, but the number of "success stories" is still too small. How many of you have had students make it to 12th grade in your ministry, only to have them spiral off into ungodly living after they moved the tassel on their graduation cap? Before the ink was dry on the diploma, some had moved out of their homes and into lives that were totally contrary to what we had been teaching for all those years. Heartbreaking doesn't even begin to describe it. but that's not necessarily the end of the story. In fact, if you have former students living in carnal lifestyles right now, don't give up hope. Mistakes in life are just paragraphs in chapters; not the whole story. Michelle was one of the "pilot students" of our Gracious Ladies' Mentoring Program at First Baptist Church of Rosemount. Now before you all flood me with emails and messages requesting details of this program, let me say this: It wasn't perfect, and I'll probably write more about it in a future e-booklet, if you'll be patient. Through lots of trial and error, my co-teacher Vikki Pierson and I tried to be patterns of godly gracious Christian womanhood to an ever-changing stream of girls. The main take-away lesson we learned was this: Mentoring is not just a class; it's a life habit. It's kind reproducing kind. You are probably mentoring someone right now, without any booklet or special format. Mentoring is a matter of modeling Christlike living for someone else. "Caterpillars are growing a lot, so they eat, eat, eat! They also shed their skin many times to accommodate their fast growth. When they’ve reached full size, a caterpillar forms into its third life stage, the chrysalis or pupa. Inside the chrysalis, the caterpillar is busy as ever, working on changing form for the final time: When it emerges from the chrysalis, it has become a beautiful winged butterfly or moth! 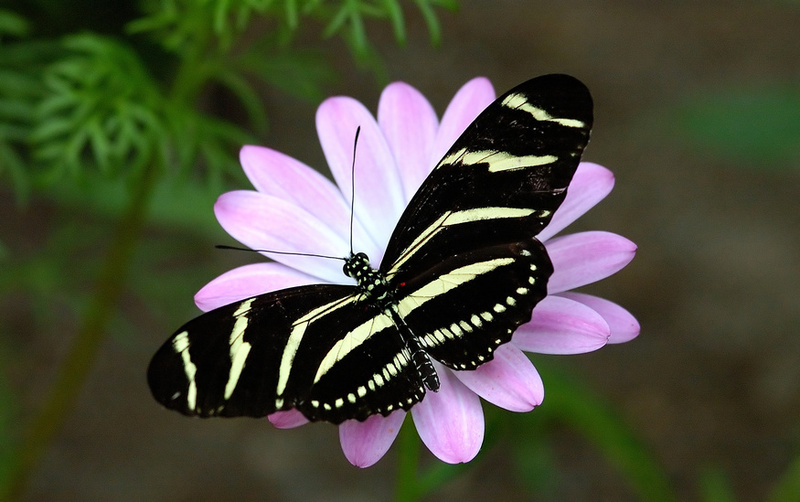 The adult butterfly or moth then finds a mate so they can lay eggs. The whole cycle starts again!" Do you see the parallels here? 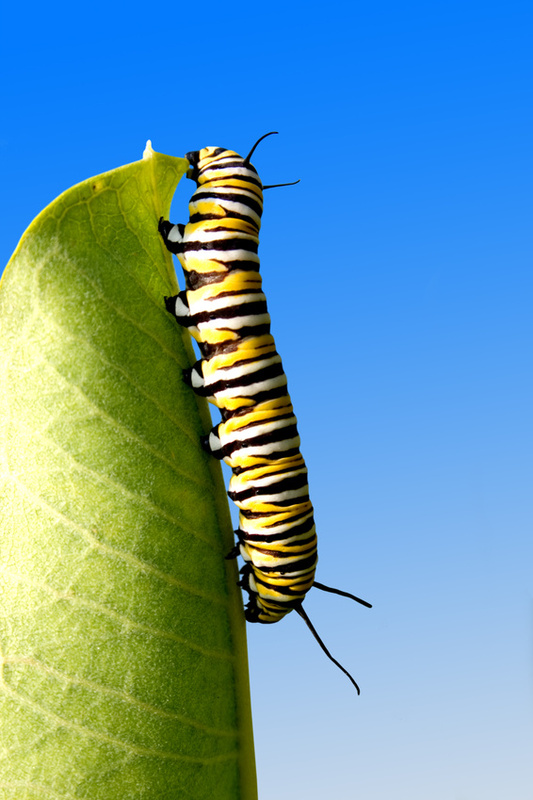 Young students are just like that caterpillar; eager to "eat" what we "feed" them in knowledge. They grow rapidly during this stage, but then there is the "chrysalis or pupa" stage when they clam up and shut themselves into a shell of sorts. During this time, change is still taking place, but we can't see the growth and development, as it is hidden from our sight. Later, at the appointed time, a beautiful butterfly emerges in the form of an adult Christian. And then this person goes on to touch another life, and "the whole cycle starts again!" This is why investing in lives is so important! This blog would be way too long if I told you about every student from our Gracious Ladies' Mentoring Program, so I'll just give you this snapshot from Michelle's life: Michelle had been away from the Lord for over a year, so my husband and I went to visit her one night in the hopes that we could help steer her back on track. When she opened the door to her apartment, my husband asked this question: "Michelle, what are you doing?" Months later, a very used car with those old hidden headlights (one of them was stuck in the one-eyed, popped up position), pulled up next to us in the parking lot at church. It was a Wednesday night, and the driver was Michelle. My heart shouted for joy as I realized that God's Word had worked in Michelle's heart like a time-release capsule. Michelle became faithful to church, served on a bus, and sat with our family in the services every week after that for several months. The "butterfly" was emerging from her shell. Then one Wednesday night before church, Michelle came to me and said, "Mrs. Taylor, I believe that the Lord wants me to go to Bible college." She practically had to hold me down and stop me from racing the car off to Bible college before she had even enrolled! That statement was followed by a meeting with our Pastor, Dr. David Clear, in his office, where he helped Michelle to formulate a plan. The church family at First Baptist gave also a special love offering, allowing us to take Michelle shopping for needed clothing, supplies, and providing money to register for that first semester. Michelle paid most of the bill, but our church family got behind her and gave her a good launch! This, too, is mentoring. When we give time and resources to our young people in the ministry, we are teaching them that giving is an everyday part of the fabric of the Christian life. Hoarders never have enough, while givers never run out of resources. Mentoring is not a program; it is showing others how to walk with God by allowing them to have a close-up view of your own life in Christ. It is also friendship, as a bond is naturally formed from the time spent together. Michelle "crammed four years of Bible college into five years," (Hey! Bible college is not day camp!) graduating from Hyles-Anderson College in January of 2010 with four people there as her "cheering section": Michelle's own Mom (Mrs. Roby), her former teacher Mrs. Taylor, along with Mr. Taylor taking photos like a paparazzo, and Pastor Clear. 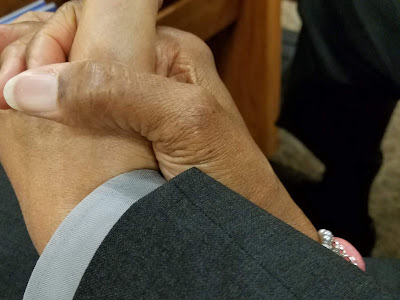 Michelle's Mom and I patted each other on the hand now and then, struggling to hold back the tears. Mrs. Roby leaned over at one point and said, "This has always been my dream for Michelle." That opened the flood gates for me! Tears of joy took the makeup off my eyes and ran it down to my chin as I beamed through that ceremony with Michelle's Mom. It was finally her turn. Her name was announced with such authority: "Michelle Nicole Givens." We clapped and cheered and cried and laughed and clapped and cheered! A graceful young woman stepped elegantly across the platform, received her diploma, then moved on almost symbolically into her next chapter in the book of life. That same young lady had her feet under my dining room table on a recent Sunday night after church, during her brief visit to Minnesota. We had spaghetti and garlic bread washed down with lemonade, just like the old days when she was a surly teen wearing a sweatshirt with the hood pulled way over her head and worn with sunglasses indoors. That teen was the caterpillar. The young lady I know today is the butterfly. Thank God for transformations! Note: The Gracious Ladies' Mentoring Program will be available as a booklet sometime in late 2013. Watch for it in the Shop at www.keeptheheart.com. What a nice surprise to see a picture of Michelle on your blog! She and I sat next to each other in Old Testament Survey at HAC. I always enjoyed talking with her. This was a wonderful post encouraging people to get involved with students of the bus ministry. Michelle, if you're reading this, I'd love to get in touch with you! I'm on Facebook as Ava Gunn Kinsey, and my email is mrsavakinsey (at) gmail (dot) com.